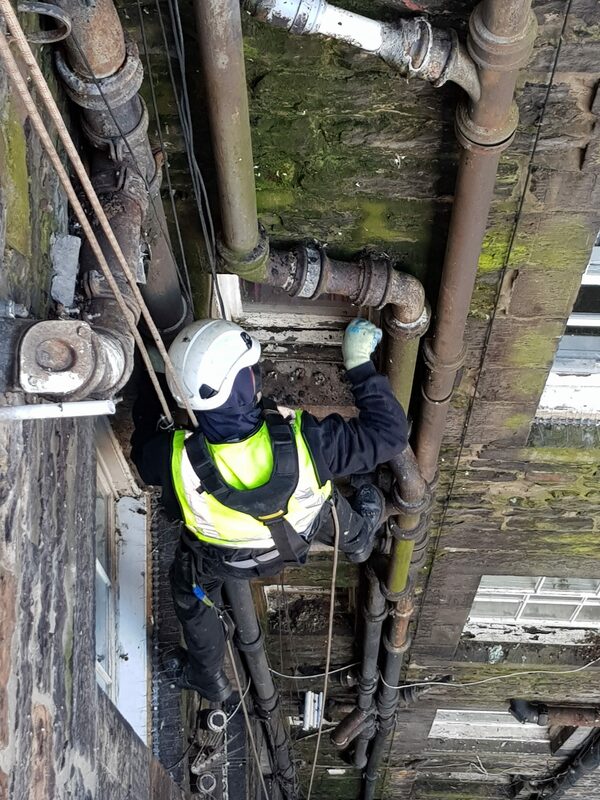 Rope Access Inspection services are a quick and cost effective method of ensuring the integrity of your building or asset. of safely and quickly identify any defects of or underlying issues allowing these issues to be rectified before they cause more serious issues. should this be fatigue cracking of structural steel works or the decay of masonry, allowing unsafe debris to cause potential injury. Integrating our state of the art UAV's allows us to further reduce cost. This is a particularly efficient method for our building surveys, allowing us to identify problem areas. 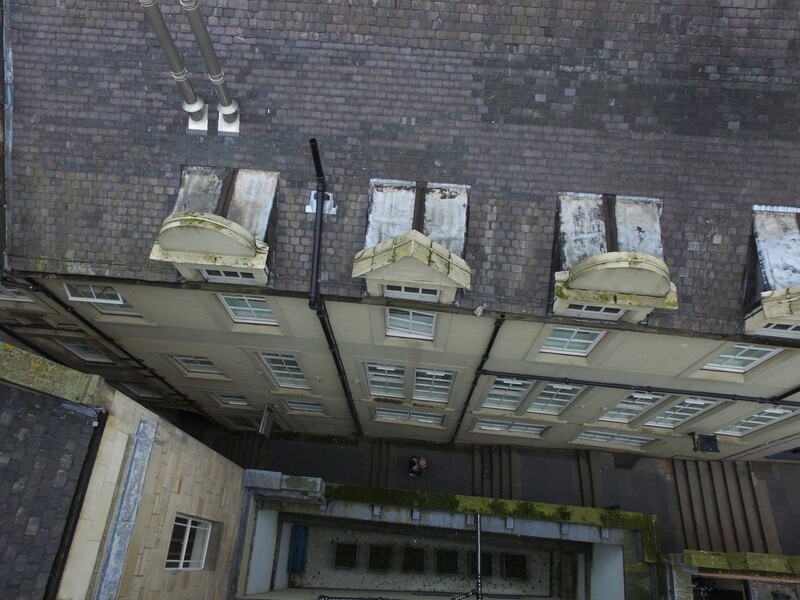 Our UAV pilots can carry out comprehensive survey, reviewing the images and video footage taken. Working in unison with our rope access technicians providing support if further investigation of debris removal is required. 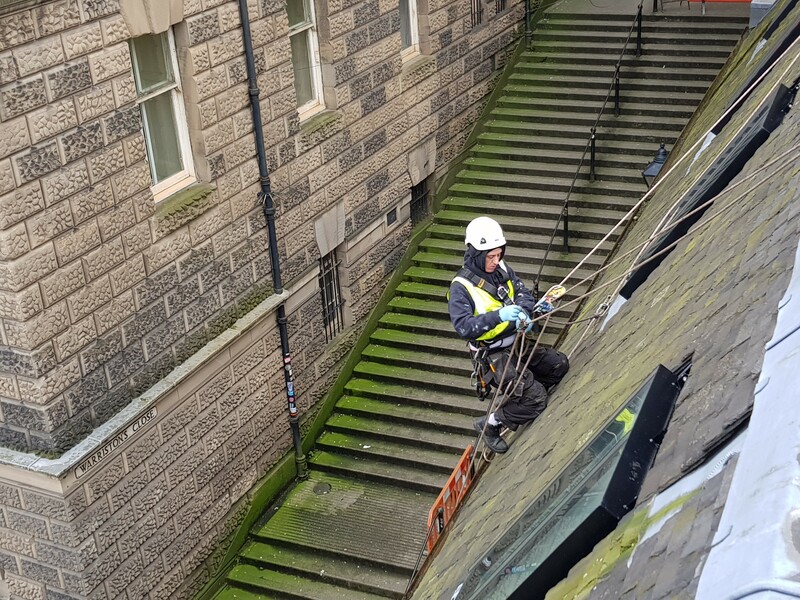 A building rope access survey is an important preliminary step to doing any kind of building repair work and when it’s done accurately, the cost is invaluable. Many maintenance/surveying companies will erect scaffolding, an unnecessary cost, prior to the commencement of works resulting in increased cost for scaffolding hire and increasing the presence of construction works in the immediate area needed to gain access to particular areas. our Rope access and UAV inspetion services Industrial Rope Access creates minimal architectural impact and very little in terms of ongoing maintenance cost, with ease of fast return visits, much different to the burden of scaffolding. 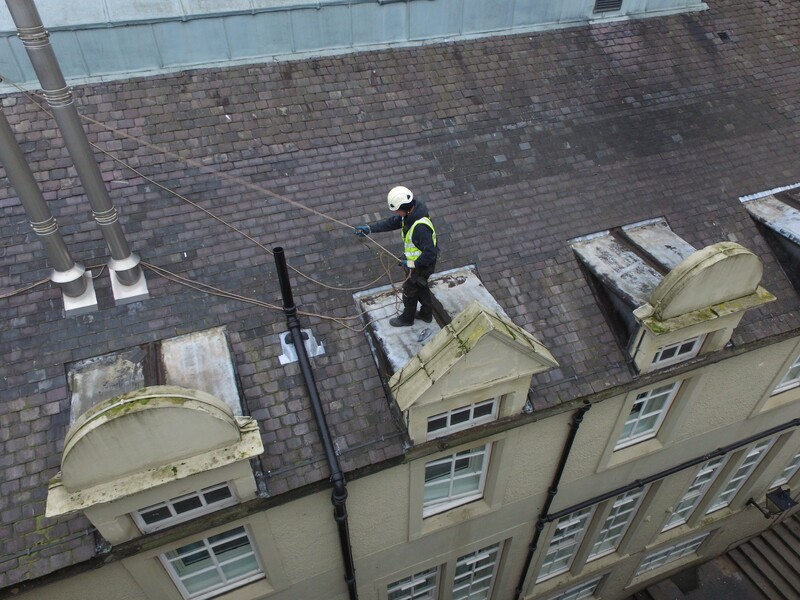 Rope Access means minimal disruption to building occupants, pedestrians and traffic flow. Surveys are typically carried out as a preliminary step to investigating the size of a job. These investigations can be requested by the company owning the building, an insurance company wanting to investigate a claim or even a company like ourselves writing a quotation. Used in conjunction with our UAV s these surveys are very cost-effective. allowing our clients to realise the full scope of works prior to work commencing. Surveys can vary dependant on our client's needs from a complete building survey prior to putting a job out to tender ensuring there are no hidden costs. to a simple debris survey after bad weather, ensuring that there no risk to the public due to loose objects that could potentially cause harm.